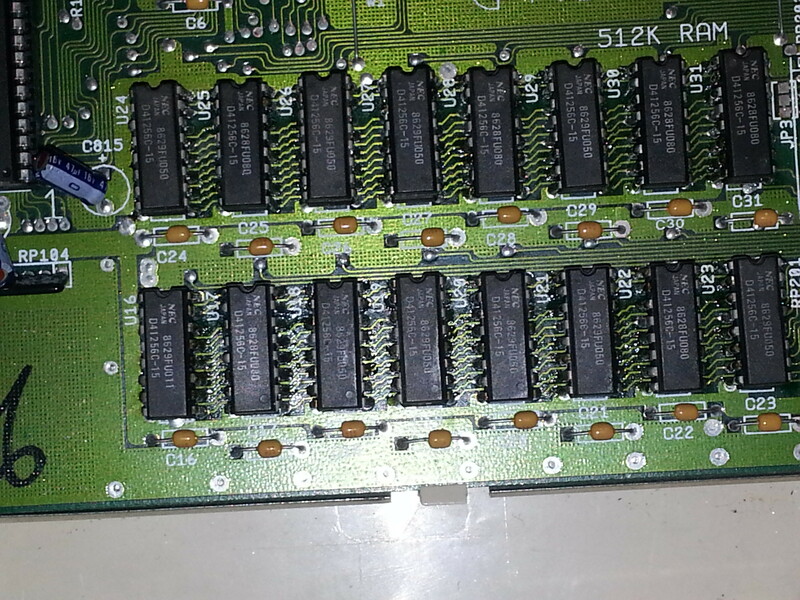 When I first started my Amiga 500 (rev 5) after a long time of storage on the attic, I inserted a game disk and I got the message that I need more memory. 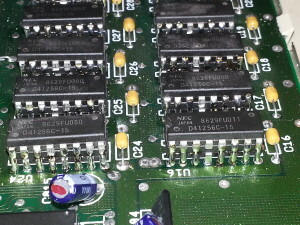 The need to upgrade the memory was born. I searched for an a501 memory expansion board but couldn’t find one. 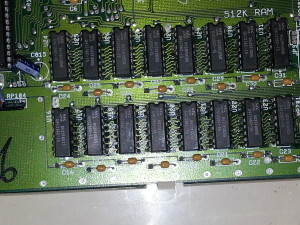 So I ordered 16 256k x 1 dram chips from futurlec, but a nice coworker found a old 386 pc with these chips in it, so I didn’t need to wait longer and could start the upgrade. 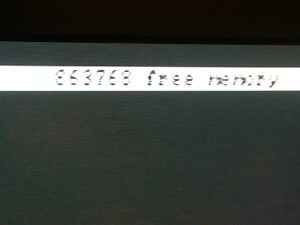 First, make sure you have the correct Agnus, it should be 8372. 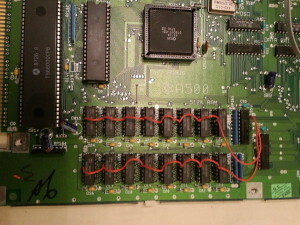 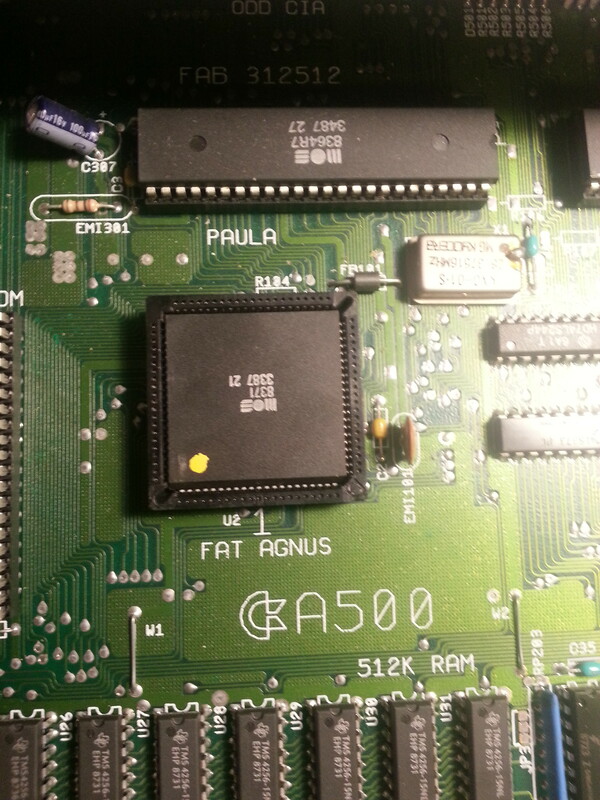 The A500 rev5 was sold with the Agnus 8371, so it needs to be replaced with 8372. Pin 41 has another function on this new Agnus. 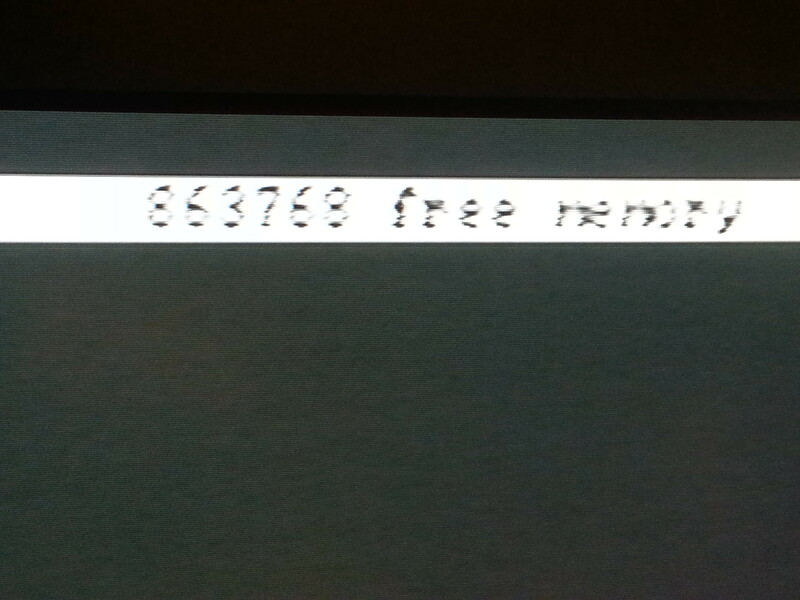 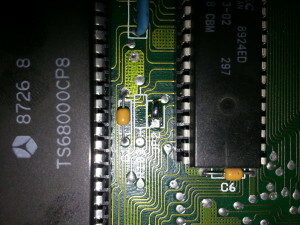 It is used to select pal/ntsc. 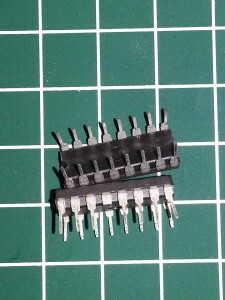 for me in a pal country this pin should be isolated from the socket as pin 41 of the socket is connected to ground, and this would select ntsc. Place the Agnus into the socket, and check if the Amiga still starts up (if not check the orientation of the chip). 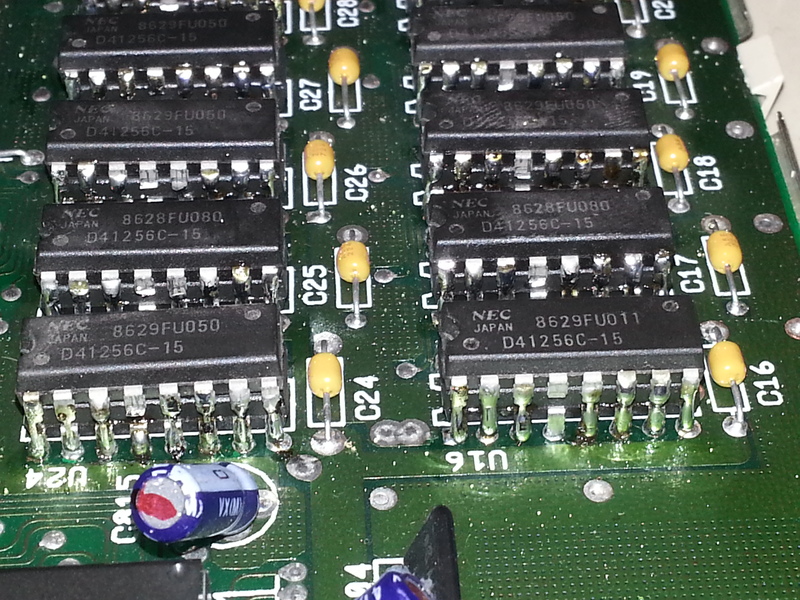 When the Amiga is still working we take our 16 256k x 1 Dram chips (e.g. 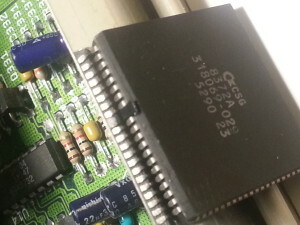 nec 41256). 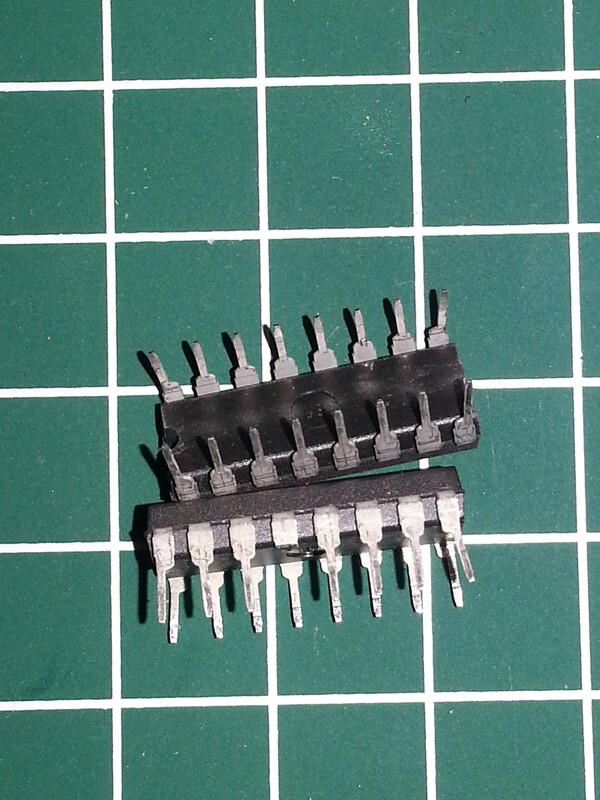 Now we only need to cut the trace between the 2 lowest pads af JP2 and connect the upper 2 pads. 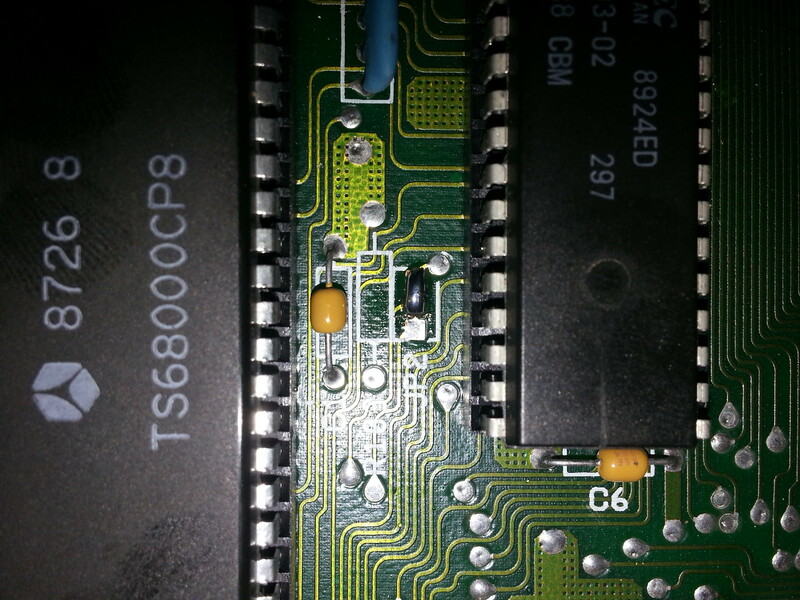 Some descriptions on internet tel you to cut a trace near the expansion connector, but I skipped this part as I don’t expect to use it.